One of Fort Worth’s most legendary drinking establishments, the White Elephant Saloon is owned by celebrity Fort Worth chef & TV personality, Tim Love. 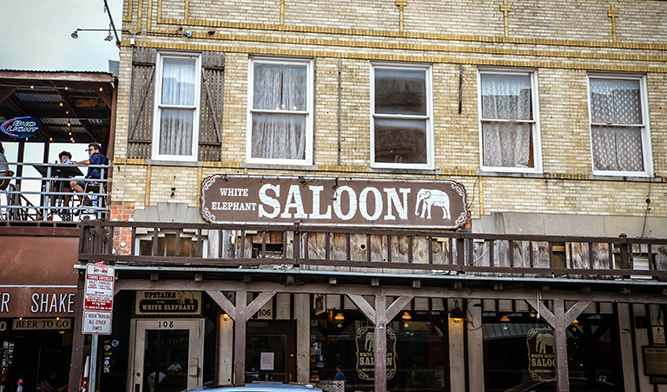 With our central location on Exchange Ave, the White Elephant Saloon is the perfect place to relax with an adult beverage & enjoy the historic Fort Worth Stockyards. Voted one of the 100 best bars in America by Esquire.